DryMax Rudder Sealing System designed to deliver long service life. DryMax is a robust and reliable hydrodynamic rudder seal system constructed of the highest quality materials designed to deliver long service life. 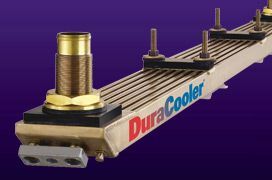 DryMax Sealing System was engineered, tested and built by Duramax Marine in the USA. This axial system provides excellent sealing and can accommodate large increases in radial clearances due to wearing down of rudder stock bushings. DryMax Rudder Sealing System is installed above the DuraBlue Rudder Bushing and controls seawater from entering the hull. 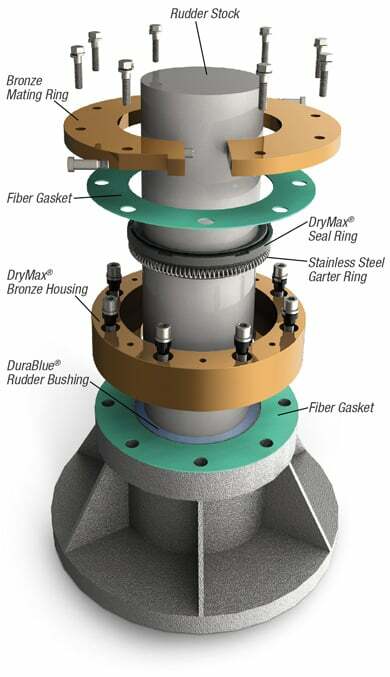 The DryMax Seal has been engineered and tested for service in both Blue (clean) and Brown (gritted) water operating conditions. Simple design with maintenance free operation. 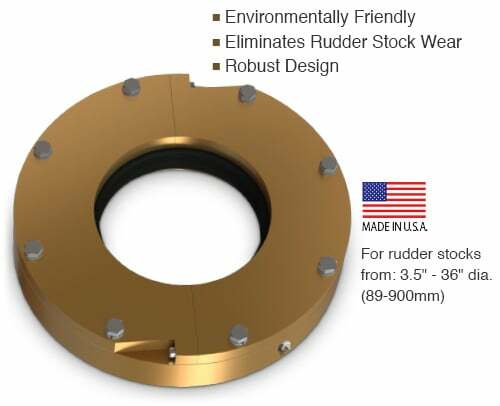 DryMax Rudder Seal comes with Split Bronze Mating Ring as standard. 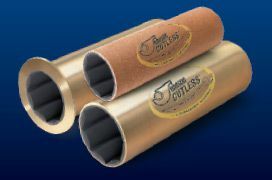 The Duramax DryMax Rudder Seal System comes standard with a reversible high grade cast Bronze Mating Ring. When the Mating Ring is worn, it can be reversed and reused. After a period of time, once both sides of the Mating Ring is worn its face can be restored on a lathe, then reused with a new DryMax Rubber Sealing Ring. There are no springs, bellows or clamp rings to engage the seal. Seawater draft pressure is used to keep the seal in place. Unlike traditional lip seal systems, there is no sliding contact with the rudder stock. Possibility of wear and grooving of rudder stock is eliminated. DryMax Rubber Sealing Ring is easy to replace. The split design of the Mating Ring allows quick, easy change out of the nitrile rubber seal when it is required. Switching to the unused side of the Bronze Mating Ring extends service intervals. Duramax Marine expertise in the science of tribology makes the difference. Duramax Marine understands rubber technology and its hydrodynamic interaction with water-lubricated surfaces. 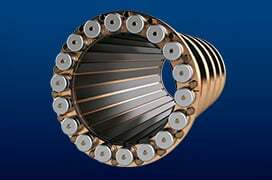 This is the same proven technology used in our water-lubricated bearing technology used on almost every US Navy surface vessel and submarine today. Duramax Marine technology is the difference. The DryMax Sealing System has only 2 primary sealing parts; the proprietary nitrile rubber seal ring and our Bronze Mating Ring that never need adjustment. DryMax has been engineered and tested for service in blue (clean) and brown (gritted) water. Our research and development team conducted experiments on our full scale test rig built to simulate the most difficult service conditions. 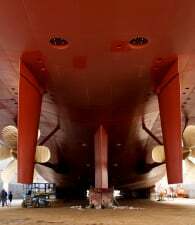 Benefits of DryMax Rudder Sealing System. DryMax was designed for heavy duty service, low maintenance and long life. 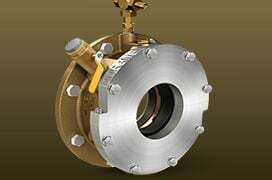 The DryMax housing is made of heavy duty, high grade cast bronze to resist corrosion and in many cases last the life of the vessel. The DryMax Rubber Seal Ring is very durable and is easily replaced if necessary. The ring rotates with the rudder stock and creates a hydrodynamic sealing interface with the highly polished Bronze Mating Ring. The alloy used in the Bronze Mating Ring was designed to operate with our rubber seal ring in rudder stock sealing applications. The Bronze Mating Ring can be reversed and reused. When both sides of the Mating Ring are used, it can be restored by machining the Mating Ring in a lathe. +1-440-834-5400. Complete your rudder system with Durablue Composite Rudder Bushings, Thrust Washers, and Wear Pads. Duramax Marine is the leader in water-lubricated bearing technology that offers dimensionally stable rudder bushings and thrust washers. 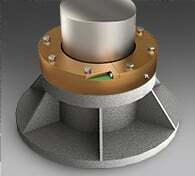 DuraBlue Bushings are designed to be used with the DryMax Rudder Sealing System. 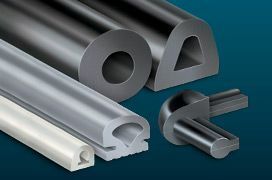 DuraBlue is dimensionally stable, extremely wear resistant and delivers extremely long wear life. DuraBlue composite material has a low coefficient of friction value of 0.09 to 0.11 and a low thermal expansion rate in high & low temperature environments.